I wholeheartedly welcome the new guideline on community engagement published today by NICE to support the NHS, local authorities and other service providers to better engage local communities in decisions that affect their health and their lives. The new guideline has been informed by PHE’s own guide, launched just over a year ago to support local areas to develop community-centred approaches to health and wellbeing. In that time, our guidance publication has been visited almost 14,000 times, and community engagement is becoming increasingly important for those working to improve public health and reduce inequalities in their local areas. Community and placed-based approaches to health and wellbeing underpin all of our work at PHE, from tackling obesity to ensuring every child has the best start in life. We see this concept as one of the big ‘game-changers’– a unique opportunity for positive change and much faster progress on our public health priorities. A place-based, or community-centred, approach aims to develop local solutions that draw on all the assets and resources of an area, integrating services and building resilience in communities so that people can take control of their health and wellbeing, and have more influence on the factors that underpin good health. In the past year we have seen community-centred approaches becoming more embedded in public health services and in health and social care. The new NICE guideline will help to build on this progress, providing a clear mandate for collaboration with communities to plan, design, develop, deliver and evaluate public health, using our guide as a framework for developing options in practice. In this blog I would like to share some of the recent highlights from our work on community engagement. In June, I blogged about how community-led LGB&T Pride events are a practical demonstration of the four core approaches to community centred health and wellbeing. More than 80% of lesbian, gay, bisexual and transgender people have experienced some form of hate incident, which we know can be an important factor in generating ill-health. Pride marches can be an important way of developing community cohesion, celebrating identity and encouraging social connectedness. At the PHE conference in September, healthy places and communities was a key theme, with talks on engaging communities and commissioning collaboratively. We heard inspiring stories from our speakers, including Christine Mead from Westminster City Council, whose Community Champions programme is providing a £5 return for every £1 spent. The programme, run in partnership with local organisations, residents and volunteers, helps to give residents and communities the tools and resources to identify local issues and to come up with their own solutions. In December 2015, we contributed to an NHS England directory of the national support on offer for the new NHS vanguards – a selection of organisations and partnerships acting as pilots for new models of care across England. The directory aims to help them develop new partnerships with patients, the public and communities, and PHE has included information on how the vanguards can use our guidance on community-centred approaches to develop their services. More organisations are being invited to be part of a more comprehensive directory of national and local support which will be published in April 2016. We are committed to continuing our work on community centred approaches throughout 2016 and beyond. For example, we look forward to working with partners in newly devolved powers such as Greater Manchester to promote greater public participation in local decision-making and to ensure that local economic growth strategies include social objectives to promote health and wellbeing and reduce health inequalities. We also welcome continued work with our national partners, including the Department of Health, the Local Government Association, NHS England and the Association of Directors of Adult Social Services, to develop a new Memorandum of Understanding to further integrate community engagement and empowerment across the health, social care and public health sectors. 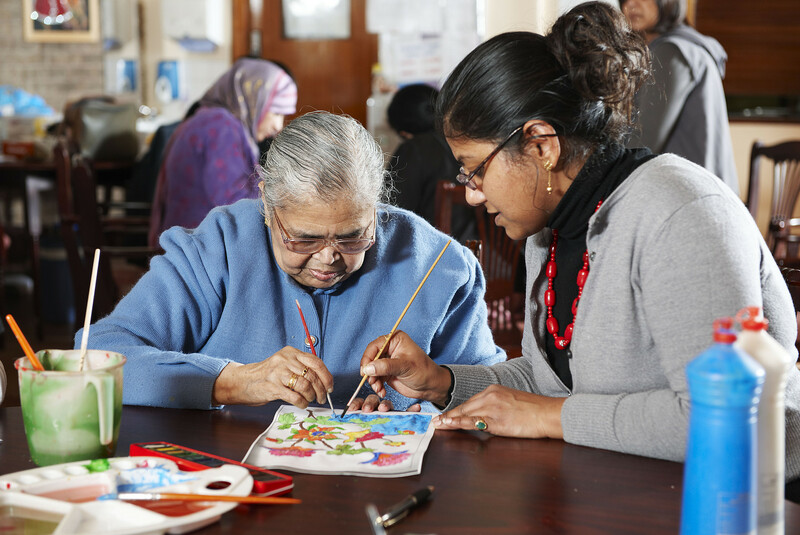 This work forms part of the Think Local Act Personal programme on building community capacity. I hope that the incorporation of our family of community-centred approaches into the new NICE guidance will smooth the way for even greater progress on health and inequalities in the year ahead.